So, ‘Satan’ quits hell and takes up residence in Nigeria, same as saying that someone whom we have all come to identify as a clone or an ‘impostor’ left his abode in Sudan to occupy the presidential seat (the highest position) in Aso-rock as the stories making round the news has made us believe, thankfully with indisputable claims and evidence. Call it Jibrin or Jubril, it doesn’t take away the fact that the time that lies before us, is full of deceit and deceptive machinations to conceal the truth that is now paving way to escape to reality. Jibrin Aminu Al’sudani is the current celebrity in Nigeria that everyone needs to pay rapt attention to in order not to be carried away by the growing deception of the northern cabals. I recently stumbled into a publication in Vanguard Newspaper authored by one Dr. Ugoji Egbujo and titled: ‘Jibrin of Sudan and the audacity of fake news’. In the highly-worded article, the author described the whole story targeted at unmasking the supposed impostor in Aso-rock as a moonlight fairy tale and a fake story concocted by the IPOB leader, Nnamdi Kanu, simply because he was stunned by the quick recovery and return of President Muhammadu Buhari to the country after receiving medical treatment abroad. But while I began to read the regrettably sponsored piece, I was actually hoping that the writer or journalist could at least put forward a veritable and undeniable evidence that could possibly dispel and debunk such ‘fake news and moonlight fairy tales’ so that people can begin to unlearn what the Jibrin saga has propounded but I was disappointed that all the evidence the writer could give was a statement credited by former governor of Ekiti State, Ayodele Fayose, who according to the author, told Nigerians that he had pictures of the dead president in a morgue until he was embarrassed upon the latter’s return to the country. 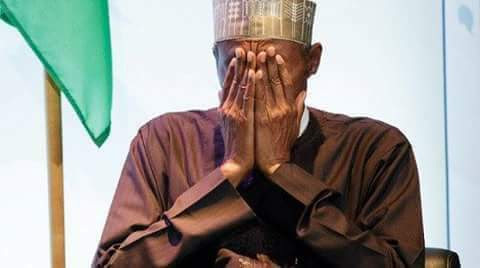 According to Dr Egbujo, “If a picture of Buhari surfaces and his nose appears a little flatter than the beak of a woodpecker, murmurs about Jibrin will fill the air. Corruption is ruthless. But it is fake news that has the stubbornness and ruthlessness of a Californian wildfire.” At least, the writer was able to appreciate and identify with the many evidences brought forward by the harbingers of his so-called fake news who have been making frantic efforts to outline reasons and proofs that the man in Aso-rock is Jibrin and that Buhari’s death was concealed by the northern cabals who wants to perpetuate themselves in power. After reading ‘tales by the moonlight’ phrase, I expected the journalist to talk about rats chasing the president out of the presidential office, I expected Eric Joyce to be mentioned, even though his tweets of the alleged Buhari’s passing is still very much available on his verified profile, not deleted. I looked for the report on series of events that transpired then I remembered that Nigerian journalists are paid hacks, pen for hire quacks that should be having exclusives on abnormal issues as this. Mr. Writer has simply made no effort to outline his own reasons and proofs to convince us that the news is fake. He could have at least conducted an interview with the man he claimed to be Buhari. That singular encounter would have armed him with enough evidence to dispel the ‘fake news’ circulating on the internet but alas the writer was blinded by brown envelope courtesy of the presidency. This makes it a sponsored article that proves no fact. What rhetorics have Dr. Egbujo been able to put across in order to clamp down the ‘rumours’ going on around the world about his so-called president? If Buhari is alive as he claimed, let him stand to be interviewed, let him also submit himself to a DNA test with his acclaimed children. Why not publicly defend himself by granting press interviews? Why did Buhari or should I say, Jibrin travel to France for the Armistice Day commemoration and refused to show up at the meeting venue and absent even when Emmanuel Macron, the France president was welcoming world leaders? Buhari/Jubril was conspicuously missing throughout the event in Paris. Taking away the many pictorial evidences now flooding the social media, I do not see any reason why the so-called President Buhari as a public figure, cannot come out boldly on air to defend himself by removing his cap and let Nigerians see his bald head, addressing the populace in a presidential media chat, telling Nigerians why the entrance door to his office was replaced, explaining to Nigerian citizens the Queen Elizabeth’s condolence message and the observing of a minute silence by African leaders during the 28th session of the AU summit in Addis Ababa, Ethiopia. All these precise and mind-blowing revelations being propagated by IPOB has made the case more prominent and difficult to dispel by just a wave of hand or a mere write-up. The writer of that sponsored piece has not been able to tell us why the presidency shied away from disclosing the etiology or the nature of the sickness that President Buhari suffered from before his evacuation to a London hospital and how he survived the chronic illness, if a miracle had probably occurred via the sudden fresh, younger and healthier body of a dying man. If actually money could change the health of a dying old man, perhaps, none of these old and young billionaires could have died because they have got the financial buoyancy to reverse it. It was also widely reported during the time that after spending months in a London hospital, Vice president, Yemi Osinbajo and Aisha Buhari were barred from seeing him (Buhari). Then all of a sudden, some selected people loyal to the cabal started paying him a visit. And after their marathon visits, he bounced back home stronger, healthier and till date never fell sick or went for a checkup again. These and more are the points I expected the writer should have raised to refute or counter the claims, through an investigative journalism and not coming up with anything being fed with from his paymasters. So why have the Queen of England not apologized for the condolence message she sent to Nigeria and why did Trump call him lifeless? But until the puppet journalist is able to prove the ‘fairy tales’ wrong, Buhari is assumed dead and not coming back. If journalists and media houses in Nigeria have been fair, unbiased, balanced in their news reportage and had not allowed brown envelope to steer their conscience and could go extra miles to reach to the truth and report accordingly to inform the people, perhaps, the purported fake news could have been curtailed. But unfortunately, the fake news purveyors are the mainstream media in Nigeria. Had this writer or any other journalist asked the presidency while they have refused to tell what bigot Buhari is suffering from, why has this Buhari in Aso-rock afraid to talk to the press, why is this Buhari younger than Aisha Buhari, if this Buhari is not an impostor from Sudan, he should come out and speak fulfulde, the Fulani language, then we know that the Nnamdi Kanu or Ayo Fayose are lying. Therefore, there’s no doubt that the writer is biased. Vanguard and their cohorts are on the payroll of the government. An Igbo adage says that “a woman cannot hide her pregnancy for too long,” meaning that the truth won’t take long before it gets unraveled. As good journalists, what should you do to balance people’s beliefs and doubts on a matter very sensitive and sensational as this, knowing the person in question is the number one citizen of your country? Therefore, Egbujo’s article is more of a fairy tale than Nnamdi Kanu’s assertion. I urge him to do better than what he have done. Writing a lengthy essay will not help this government. Buhari should come to the open, perhaps through a presidential debate or other platforms to prove to Nigerians that he is still the Buhari that they voted for and that settles it.